Stable price. Because of the cost-effectiveness of recycling compared to primary production aluminium packaging is always in demand, and is relatively cushioned from the fluctuations in value that affect most recycled materials. Easy to handle. In the home empty aerosols and foil trays can be collected together, alongside food and drinks cans and other dry recyclables. At a MRF aluminium is easily sorted from other materials, and advances in mechanical sorting technology mean separating smaller fractions of the aluminium stream has become more commercially viable. Better service. 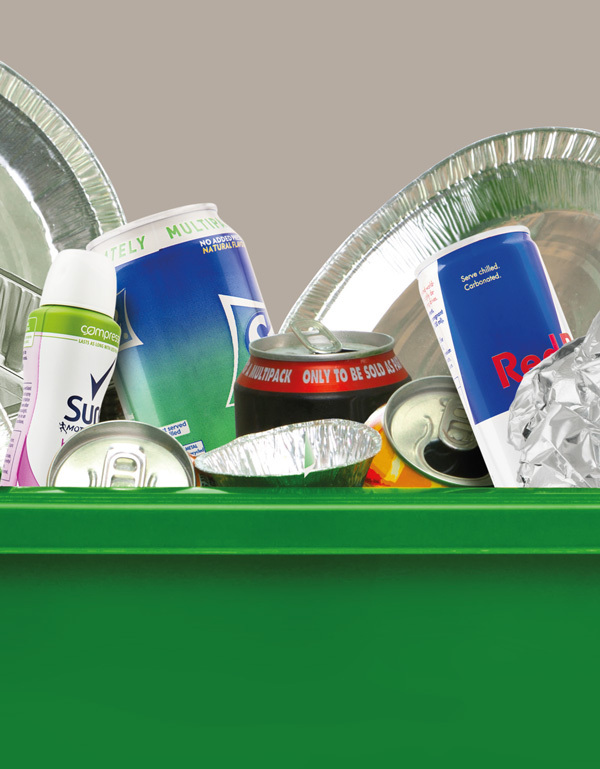 Collecting a full range of aluminium cans, aerosols and foil from the household expands the range of materials that residents are able to recycle in the home, providing a more comprehensive service. Landfill Tax. With Landfill Tax set at £91 per tonne in 2019 there is an additional financial incentive for removing aluminium from landfill.